Every ski field in New Zealand has a different set of family offerings. 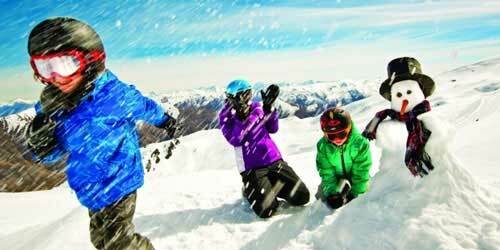 These are the top 5 NZ family ski resorts, starting with the most family-friendly. When booking your New Zealand Family Ski Holiday there are many things to consider. Do you want your children well looked after for the full day while you enjoy the freedom of skiing? What is the level of childcare available on each mountain? What ages do each ski field take in their child care facilities and ski school? What exactly am I getting for my money? You can use the information below to thoroughly research all child care options available at New Zealand’s top ski resorts. Of course New Zealand Ski Packages have expert consultants local to Queenstown, Wanaka and Christchurch. We are ready to help you choose and also discuss the best child care options for your family, so you know you have made the best decision regarding your upcoming New Zealand family ski holiday. 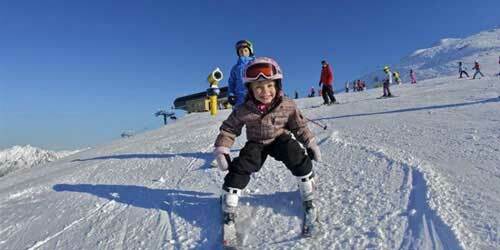 Enquire about a family package ski deal inclusive of childcare and lessons today. With childcare options available for kids ages 3 months through 14 years, Cardrona has your kids covered, giving you the freedom to ski uninterrupted. For children age 3 months to 4 years, Cardrona has a childcare centre with a number of activities on offer (including private and group lessons). And for older kids, age 5 to 14 years, the Kids’ Snow Sports Club can be added onto full-day lessons so your kids have a fun and relaxing place to hang out between lessons. Most of the childcare offerings include lunch, too! With 25% beginner and 25% intermediate runs, Cardrona has the perfect terrain to help your kids progress quickly – and challenge and them as they become more experienced. The new “Chondola,” which has gondola cabins interspersed with chair lifts, is a perfect option for young children and those who are not confident enough to ride the chair lifts yet. And it opens up a whole new range of beginner terrain higher on the mountain! Every age is catered for at the Cardrona kids’ ski school. From kids who have just learned to walk through teens, there are lessons to suit every age and ability. Choose from private lessons, group lessons, or first-timer lessons. Cardrona doesn’t offer any special family deals. However, children under 6 ski free, and ski lessons for under 5s include free rental equipment. Additionally, Wanaka is a cheaper base for skiing than Queenstown, and if you’re lucky, you could book one of the on-mountain apartments to save on transport costs. Conveniently located close to Queenstown, Coronet Peak is sure to be a top choice for families looking to experience the vibe of New Zealand’s most popular ski resort town. And Coronet Peak is well set-up for families, with excellent offerings for all ages. With a wide range of childcare offerings from age 3 months to 15 years, Coronet Peak is the perfect family ski destination. Kids under the age of 5 have the option to choose from half-day or full-day childcare, with lessons and activities offered for ages 2-5. And for ages 5-15, you can add lunch onto the full-day lesson package, which means your kids are taken care of all day. 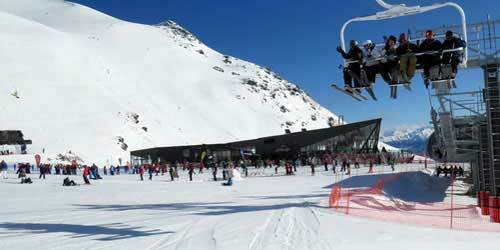 Coronet Peak offers gentle learner slopes and a wide variety of intermediate terrain. Skiers of all abilities will have the opportunity to test themselves and progress quickly. From under-5s lessons to more advanced ski lessons, kids of all ages and abilities will find something at Coronet Peak. Choose from a range of options, including Intro to Snow packages, group lessons, and progression packages. There’s no escaping it – Queenstown is an expensive place to ski. However, kids under 6 ski free at Coronet Peak, and the ski prices for kids are reasonable. 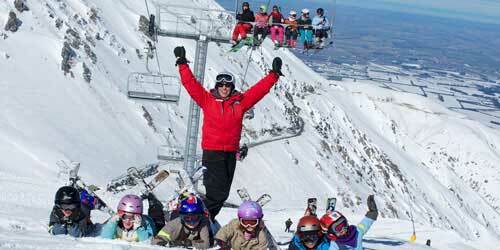 Voted New Zealand’s best ski resort two years running, Mt Hutt is a great choice for families. With all the right facilities and programs, plus great family deals, this is one of the best NZ family ski resorts. Owned by the same company as Coronet Peak, Mt Hutt has a childcare program set up just like the one at Coronet Peak. Mt Hutt features a special enclosed beginner lift and a wide, gentle beginners area, perfect for children just starting out. Mt Hutt offers fantastic family prices – kids age 10 and under ski free! Plus, equipment rental is included free of charge for children age 3-5 who take all-day lessons. Treble Cone has a reputation as a more advanced ski field, but don’t let that keep you away. With unbeatable views and the South Island’s most extensive terrain, Treble Cone is a great destination. Spend a few days letting your kids get comfortable on the snow at Cardrona Alpine Resort before graduating to Treble Cone – both ski fields are covered under the convenient Wanaka Flexi Pass! Treble Cone does not offer any childcare facilities, though they do offer full-day lessons with a supervised lunch for kids ages 4 – 17. The majority of Treble Cone’s runs are more advanced, though they do have a beginners’ slope that kids (and other novices) can ski on free of charge. Treble Cone offers a wide range of lesson options for kids, and theirs are some of the most flexible among New Zealand’s top ski fields. From one-hour lessons for kids ages 2-4 to half-day and full-day lessons offered for ages 4-17, Treble Cone has something available for children of any age. Treble Cone doesn’t offer any special family deals. However, children under 6 ski free, and Wanaka is a cheaper base for skiing than Queenstown. In addition, anyone may ski free of charge on the learner slope. New Zealand’s most famous ski field, located just outside of Queenstown behind the iconic Remarkables Range, The Remarkables is definitely going to be on any ski enthusiast’s must-see list. However, The Remarkables does not offer childcare for kids under the age of 4, so you will need to plan carefully (Coronet Peak, which is covered under the same ski pass, does have childcare options). Nothing is available here for children under the age of 4; children ages 4+ can be booked into full-day lessons including a supervised lunch. The Remarkables has some of the widest, smoothest beginner runs in New Zealand. With two extensive learner areas serviced by three conveyer lifts, The Remarkables is well-suited to beginners who are just testing the waters. All lessons at The Remarkables are full-day lessons, and kids’ lessons include the Kea Club full-day program including lunch. Intro to Snow packages are also available for first-time skiers. There’s no escaping it – Queenstown is an expensive place to ski. However, kids under 6 ski free at The Remarkables, and the ski prices for kids are reasonable. Plus, you can get two for the price of one with the NZSki Pass that covers both The Remarkables and Coronet Peak.